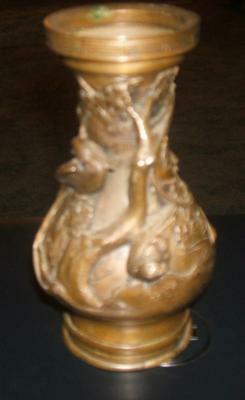 I was given this beautiful, possibly Ming era vase made of possibly bronze about ten years ago. The Ming vase came from a dear friend that had passed on and I’m not sure exactly what this heavy vase is. It stands about 8 inches tall and i have spent days in trying to find some information on it. 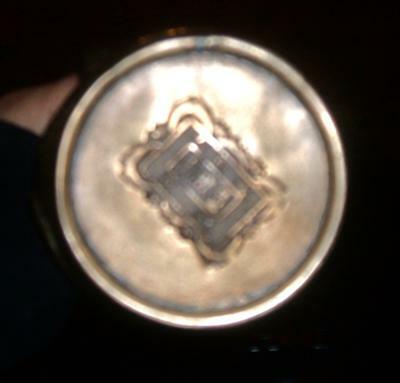 I was told that the symbols on the bottom might be from the Ming era, but I just don’t know. It has 3d birds on which look like branches. I had been advised not to clean it. Cleaned it must be stunning. 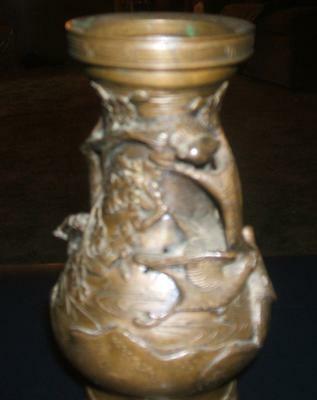 I just became interested in finding out some information on it and if it might possibly coulb verify it as a Ming era vase. I have to say I’m frustrated and don’t know which direction to go in for help in finding out more about it. 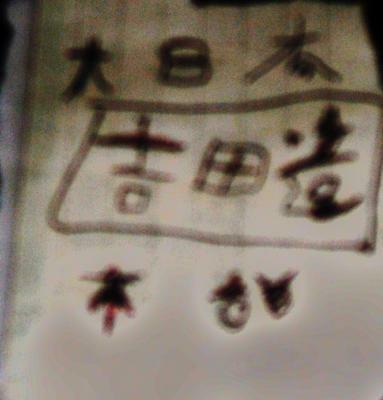 The characters (Seal Marks) say: Made in Japan. It’s not Chinese and definitely not a Ming vase.